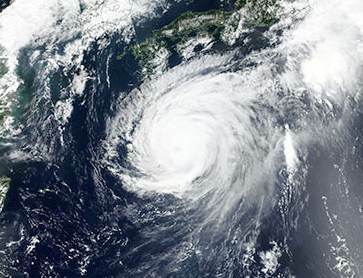 Typhoon Jebi has already become the loss creep story of 2019 so far, but it’s set to become an even higher profile case as a rising industry loss estimate for the storm means it’s now expected that a number of industry loss warranty (ILW) contracts will payout. We understand that one of the third-party catastrophe loss estimates used as a determining input source for ILW triggers covering Japan typhoon and Japanese all-natural-peril contracts has now been updated, setting up losses for some. We’re told there is likely to be up to $100 million, perhaps a little more, of ILW capacity that may now payout on the increase of the typhoon Jebi loss estimate. The estimate in question is the latest from Swiss Re’s sigma, which has now pegged Jebi’s insurance and reinsurance industry loss at $9.77 billion. We’re told this will trigger payouts of any Japan typhoon ILW’s that attach at a $7.5 billion Japan typhoon industry loss, of which we’re told there are a handful, perhaps as much as the $100 million of limit mentioned above. We’re also told that there are some who had bought stepped protection, with payouts at each billion gap from five up to ten, however we dont’t have any further clarity on the size or otherwise of such arrangements. It’s not clear how long the $9.77 billion estimate has been circulating, it’s thought just in the last few days. But we’ve had it confirmed that there are contracts using a $7.5 billion trigger that are now set to payout, as they would have previously been reserved for at the prior estimate of $6 billion. Expectations are that typhoon Jebi will actually end up causing an industry loss to insurance and reinsurance interests of closer to $12 billion, with some of our Japan market sources now suggesting even $12.5 billion is possible. Hence the estimate from Swiss Re’s sigma could rise further in time, which could put even more ILW limit at risk as there are more open ILW contracts which use a $10 billion industry loss trigger for Japan wind risk, we’re told. In fact, we’re told the amount of ILW limit at risk of a $10 billion plus industry estimate is quite significant, as it was one of the favoured trigger points for the Japan typhoon peril. The increasing insurance and reinsurance costs associated with typhoon Jebi may also drive some losses in the catastrophe bond market as well. As we explained the other day, the $200 million Akibare Re 2016-1 cat bond has been marked down even further, as the market expects some losses to occur. There is relatively broad ILW exposure to typhoon Jebi in the market, we understand, as there are limits at risk that use the sigma trigger, some that use Munich Re’s NatCat estimates, while others use an average of the two. Of course, neither of these are official trigger data providers. But that has never stopped the market from using their estimates within ILW structures. We’re told that there was (at one point) as much as $300 million to $500 million of ILW limit at-risk of a rising typhoon Jebi loss estimate. Some of that may now have matured, given the timing of the Japanese renewal, however we’re told some ILW collateral is trapped awaiting any further loss creep in estimates. So if the figures from sigma and NatCat do rise further, to match the market sentiment that the loss is closer to $12 billion, it could bring a fresh round of negative returns for some ILW capacity providers. Coming so soon after the loss creep from 2017’s hurricane Irma, this ongoing loss creep from typhoon Jebi is set to be a particularly unwelcome further erosion to returns for some in both ILS and reinsurance, as traditional reinsurers are likely to have to harden some reserves too at this stage.